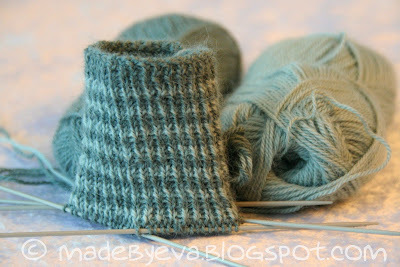 Just a simple pair of wrist warmers in the making, in DROPS Alpaca yarn leftovers (from these felted slippers). I'm improvising the pattern along the same lines as the purple pair, but with a slight adjustment of stitch count and shape to fit my own wrists this time. 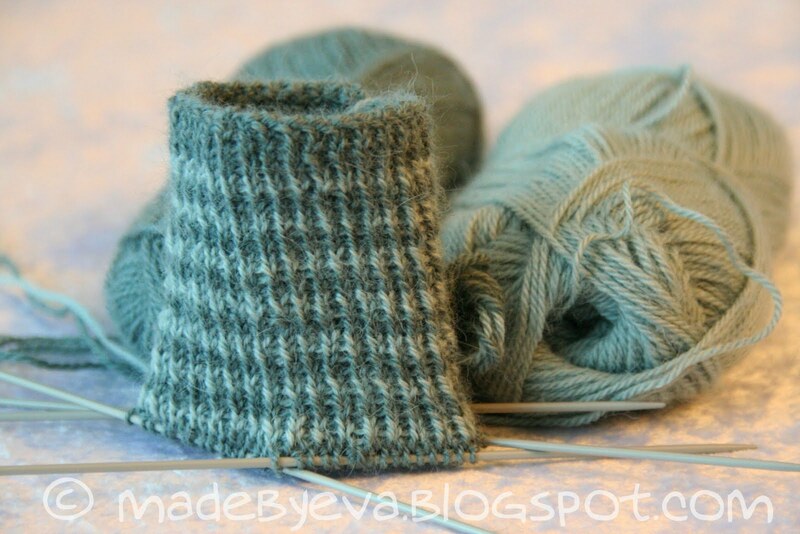 I already have a pair of wrist warmers, but they are very short, and more pretty than functional. Details at my Ravelry page as usual.